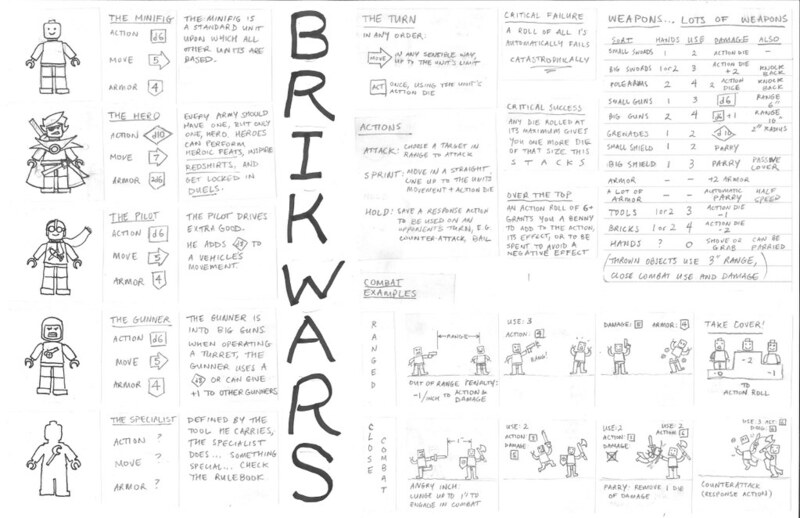 Today I made a quick reference sheet for Brikwars that I can give to my noob friends. Take a look, give me your honest feedback. Any rules I got wrong? Any rules I left out or should have left out? Pics go to Flickr for full size, or get the PDF. Paper size is 11"x17". Have you tried printing the PDF and checking if your inch marks are still in scale? don't measure just 1 inch, do 12", it will probably be off by 1/8". Default printing is to resize the image to fit the page, so it shrinks. Anything on the edges might not show up at all. There is an option to not scale things, and also to print the current view, but stuff will still be shifted because around the edges is a no print zone. Printing in scale architecture stuff from PDF is the bane of my existence. They need to be created correctly in order to be printed correctly. 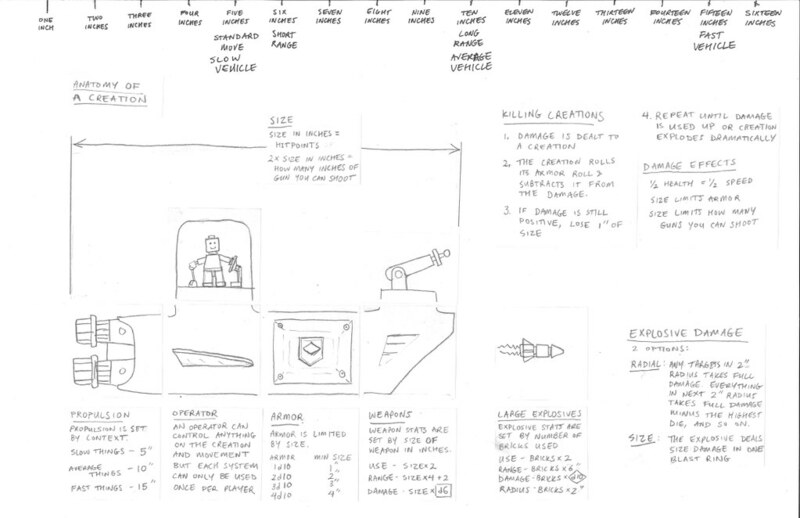 Everything else looks nice, great fig sketches. Tzan wrote: Have you tried printing the PDF and checking if your inch marks are still in scale? This is really helpful! Now I can be lazier and not even check the rulebook all the time! Excellent work! Thank you for creating it. Im hoping to print this soon, once I get some more paper in my printer! Thanks!